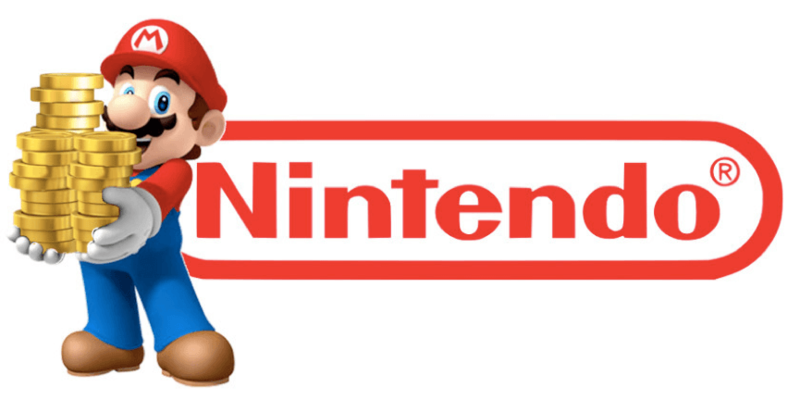 When you think about Nintendo what words come to your mind? Fun, videogames, family oriented, casual gaming? Sure this can describe what Nintendo is today but that is far from what Nintendo originally was. The “humble” beginnings of Nintendo are so over the top that they would even make Bayonetta blush. So let’s talk about the shady Nintendo History you wouldn’t hear about from regular fans. Fusajiro Yamauchi founded Nintendo in 1889. He was a Kyoto based entrepreneur that saw a huge opportunity once the Meiji Government decided to legalize Hanafuda playing cards in 1886. Like many men of his era and region, Yamaguchi regularly gambled and played cards. When gambling was legalized, Yamaguchi realized that his secret past time was going to be played openly, and that people were going to openly play and gamble with cards, he opened a shop and started making handcrafted Hanafuda. Hanafuda was a game that Yakuza loved, in fact it is said that the meaning of the word Yakuza (Useless Individual) comes from Hanafuda as it would describe a useless hand of cards. Now I am not saying Nintendo started as a gangster friendly company, but Nintendo’s original headquarters was actually on the turf of one of the oldest and strongest Yakuza gangs, the Aizukotetsukai. Yamauchi knew, through his own experience, that there was a large market for these cards. Legalization would only create more. This is pure speculation, but I would wager that he had good relations with them, especially considering they were probably part of his original “fan base”! There are a couple of interpretations for the name “Nintendo”, the first one is that the word means “Leave Luck To Heaven.” This would make sense considering they originally sold gambling cards, right? However, this interpretation is open to debate. In “The History of Nintendo” by Florent Gorges and Isao Yamazaki, there is an interview with Yamauchi’s grandson Hiroshi Yamauchi. Hiroshi states that he doesn’t know the actual meaning of the name. Gorges and Yamazaki theorize that that the interpretation “Leave Luck To Heaven” is based around modern interpretations and understanding of the language and not around 1880’s interpretation of the symbols. The authors claim the interpretation of Nintendo in the 1880’s is much different from modern interpretation. They claim ‘Nin’ stands for “Let someone do”, that ‘Ten’ comes from Tengu, a mythical being like a red demon with a long nose, which was used by Yamauchi to name a line of cheaper cards he sold after Hanafuda card sales started declining. It is worth noting that the name Tengu was no accident. It seems that back in the day when gambling was still illegal, players that wanted to gamble would rub their noses as a sign that they were looking to play. Finally, the ‘Do’ in the name was used to give a feel of prestige to the stores (it means “Shrine” or “Sanctuary”). This means the authors theorize that Nintendo actually meant “The Temple Of Free Hanafuda”. Weird right? Nevertheless, considering these notions of their gambling beginnings, it is much more likely that this is the true meaning of the word Nintendo. During the Kyoto Olympics Japan enjoyed a huge boost on its economy, a post-war effect during the 1960’s. Seikiryo Yamauchi, Fusajiro Yamauchi’s son in law whom he adopted, had taken part in the company. He would create a distribution company called Murufuku Co., which would prove crucial to the future of Nintendo. [Editors Note: It is common practice in Japanese business culture to take the last name of the company when one is put in executive leadership]. During the 60’s, Japan’s economy had grown so much and the culture had shifted so far, that Hanafuda cards where no longer a popular game. At this time Hiroshi Yamauchi (3rd generation) was president of the company and renamed it the Nintendo Card, Co. Hiroshi traveled to the United States, managing to seal a deal that allowed Ninte­ndo to use Disney characters in their cards. Hiroshi’s deal would prove to be a huge hit! Nintendo was using Disney characters and creating new card games, leading to selling over half a million card-packs. On his fateful excursion, Hiroshi was enlightened. While in the US he realized that to stay relevant and survive the company had to change and grow. This drove his visit of the largest card company in America and Disney’s headquarters. He was amazed by the immense size of Disney and was baffled by the fact that the biggest card company in America was held in a small office. The factors drove Hiroshi to the belief that his card business could go no further, and to expand, he needed to diversify. So after the success of the card packs, partially thanks to Disney characters, he changed the company name from Nintendo Card, Co. to Nintendo, Co. He also listed the company in the Osaka Stock Exchange and began to sell public shares. 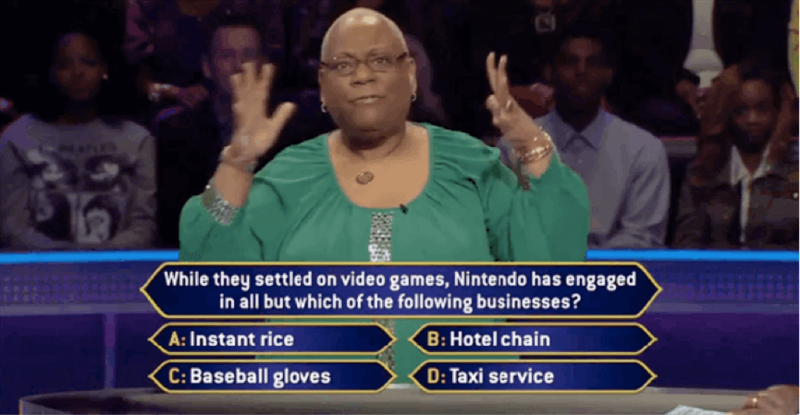 During the heavy diversification of their business, Nintendo did everything from create toys, provide a taxi service, manufacture vacuum cleaners, produce instant rice and, believe it or not, they ran a chain of love hotels. Come on lady! Why would Nintendo ever do Baseball gloves right? Nintendo actually had not one, not two, but an entire chain of Love Hotels. Yes, those are exactly what you think. So that great family friendly image that Nintendo has marketed for years is in stark contrast to their colored past! Another fun fact is during their time in the Card Business, Nintendo was making some “Adults Only” card packs. These proved quite popular with American soldiers and some choice Japanese clientele – especially since Nintendo tailored these adult themed card packs to specific tastes by featuring American pin up girls, like Marilyn Monroe, and Japanese beauties! After Nintendo entered the toy business, the story “cleans up” but that is a tale for a different time. For now, lets just remember that our favorite family friendly gaming company did not ‘Leave Luck To Heaven’ they established themselves within the circles of gangsters, gambling and geishas. Want more? Go read part 2!